Butterworths Hong Kong Patents Handbook (Second Edition) is a concise reference work detailing section by section annotations to the Patents Ordinance (Cap 514). The Handbook reproduces the text of the Patents Ordinance and all subsidiary legislation to the Ordinance which are currently in force, with the inclusion of details of amendments and repeals to the Ordinance. It provides definition of words and phrases used to assist in the discussion of practical aspects and contentious issues relating to particular sections and other authoritative material. 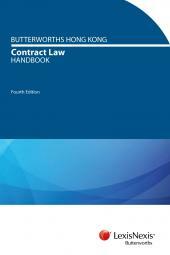 Furthermore, the annotations are fully cross referenced, with comprehensive tables of cases, legislation and other sources referred to. Since the last edition of this book, the Patents Ordinance (Cap 514) has been amended by amongst others, the changes made to Sections 2, 9, 72A - 72S, 139A, 151 and Schedule 1 of the Ordinance. These amendments are incorporated in this edition so that it will serve as the most up-to-date reference guide. 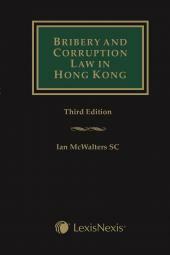 This series has been citied with authority, in over hundred court cases in the Hong Kong Court of First Instance, Court of Appeal and Court of Final Appeal. 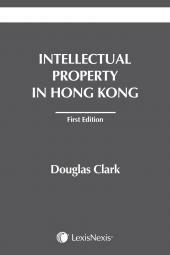 This Handbook will be an invaluable source of information for those engaged in the legal profession, academics, students and those interested in the laws governing the patent protection in Hong Kong will find this book invaluable.